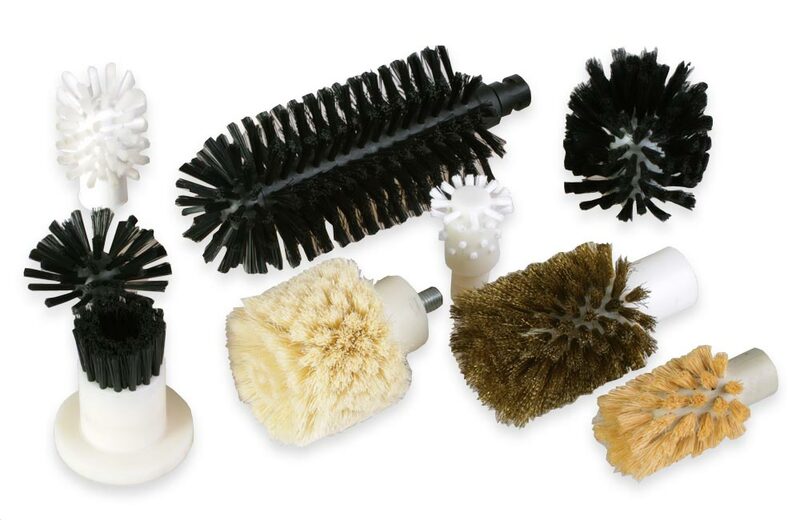 External spiral brushes, roller brushes, disc brushes and brush heads. 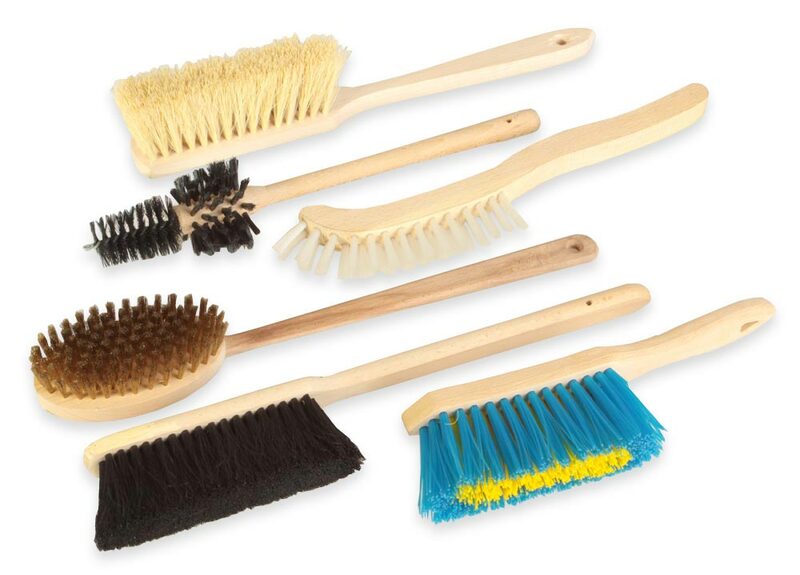 These brushes are used for pickling of brass and metals. Abrasive fibers are used for this purpose. 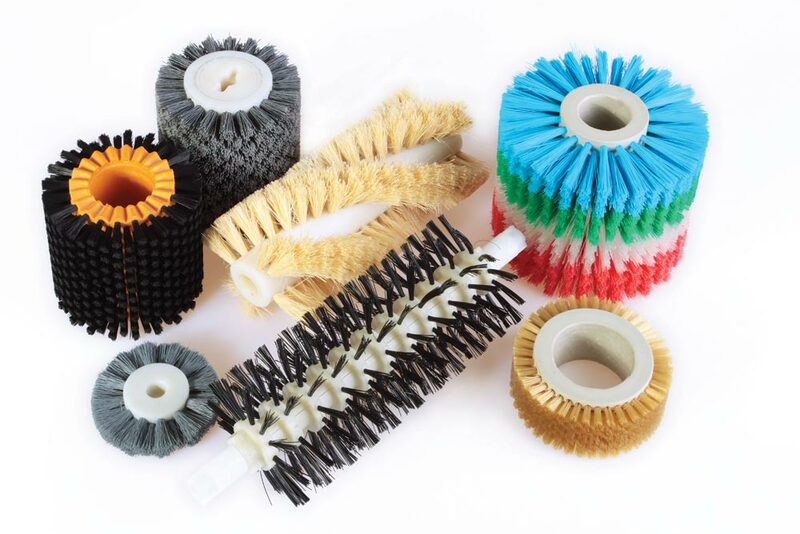 Internal spiral brushes serve for spreading and applying emulsions, oils etc. on cylindrical products, or for final cleaning of wires after their production. 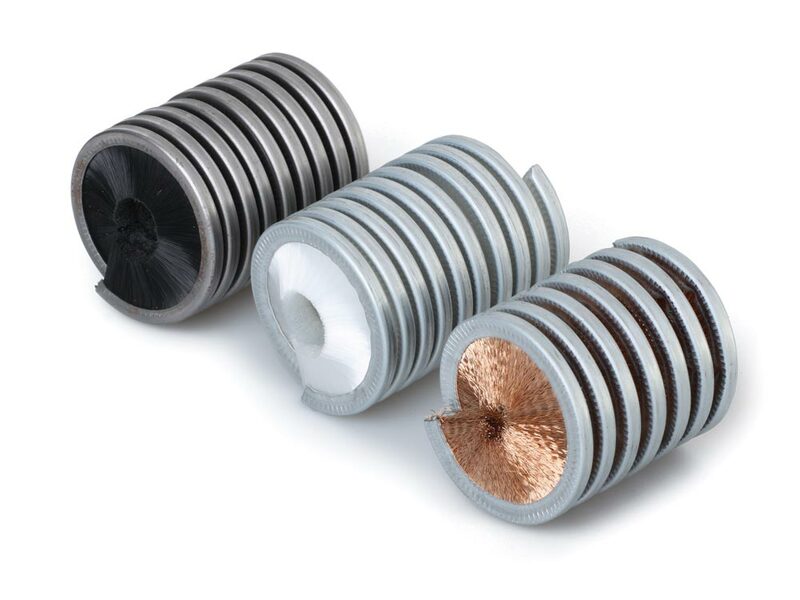 Very important is also grinding and deburring of finished products – their finalization, this can be done by using abrasive roller brushes and discs. 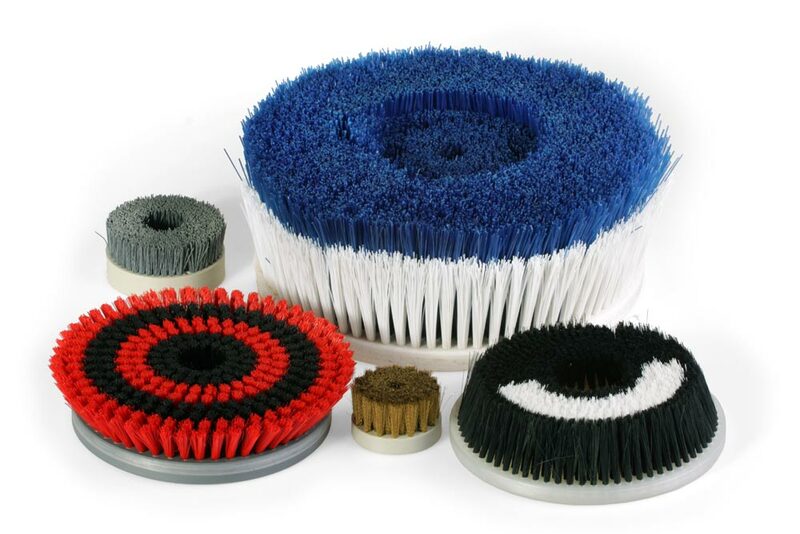 However for deburring can be also used twisted brushes which can be used to clean open (through) or blind holes from chips etc. As another option for this application can be used brooms fitted with wire. Beside metals and plastics, it is also possible to polish and modify artificial stone. 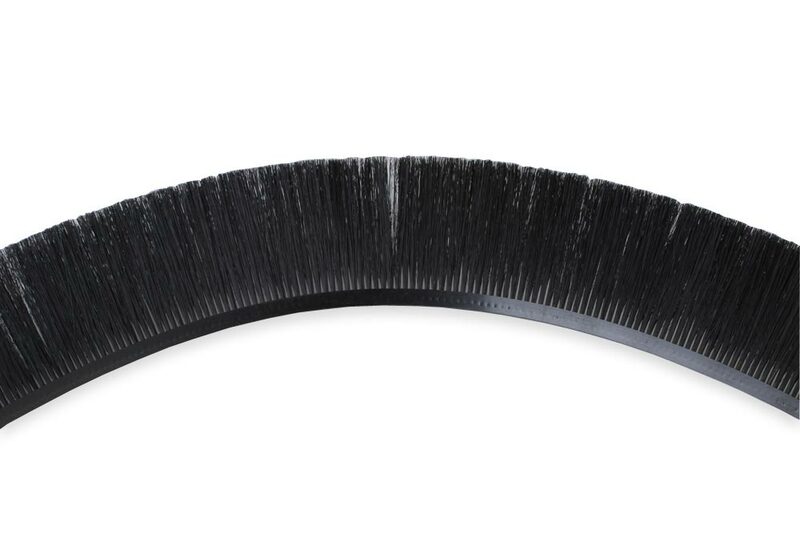 For this purpose can be used lath brushes fitted with special abrasive fiber containing diamond grain. 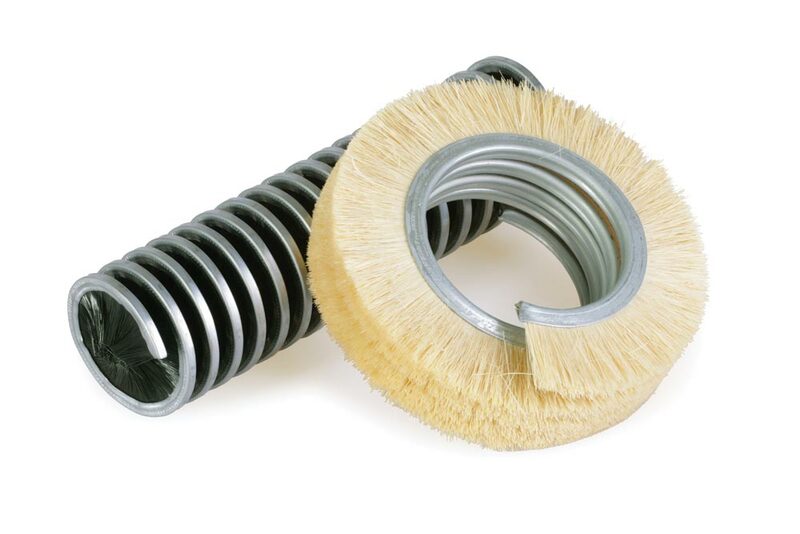 Lath brushes are also used to overpass galvanized steel. At the same time, these laths prevent the release of impurities in individual baths. In order not to damage the products surface, we offer underlay laths for transport. 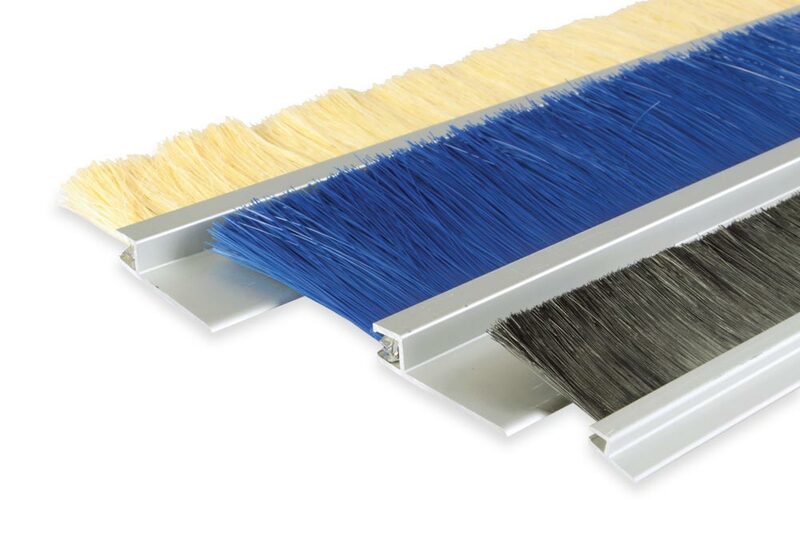 As with other industries, it is possible to use brush sealing strips and flexible brush laths to seal or to protect surfaces, or to wipe dust or other dirt. 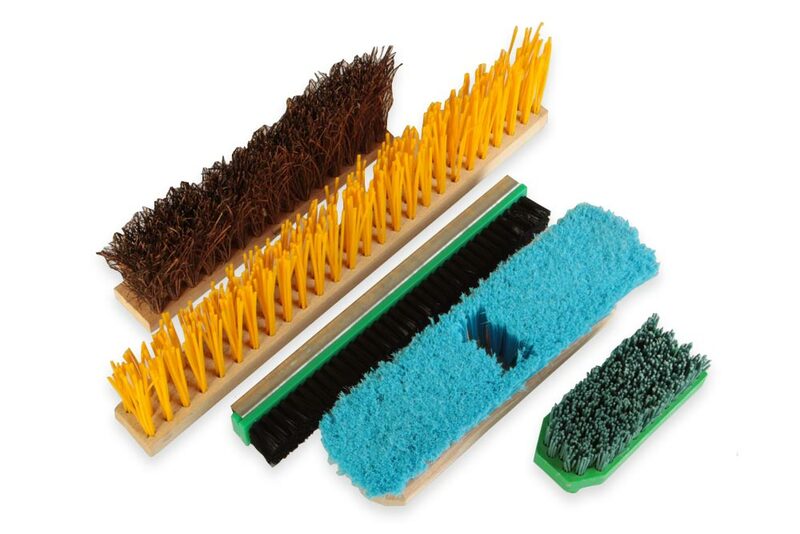 Small brushes fitted with wire are used to remove dirt, to clean and grind surfaces. 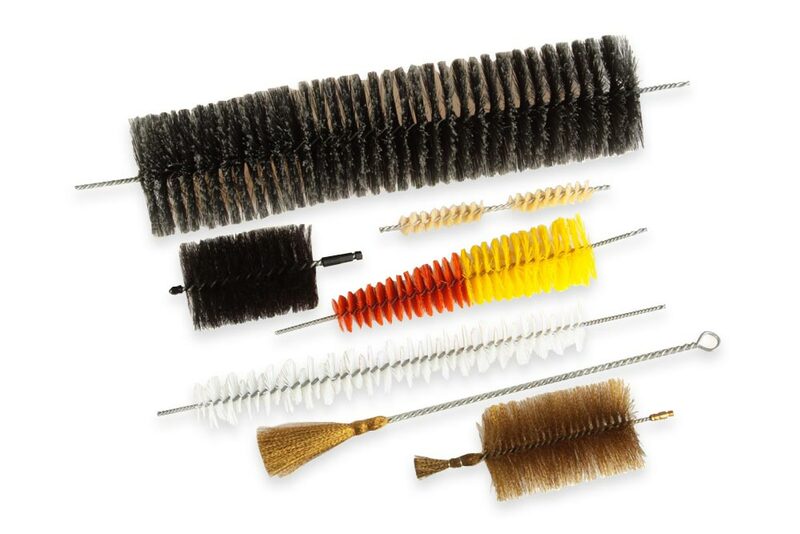 Small brushes and brushes fitted with natural materials are used to sweep, do not create an antistatic charge and have better resistance to temperatures.